With the 2015 MLB season underway and the NFL draft coming in 3 weeks, it got me wondering if the two-sport athlete is a thing of the past. 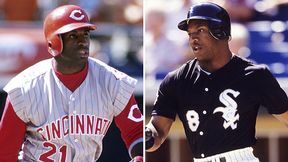 There was once a time when the likes of Deion Sanders and Bo Jackson captivated eyes and hearts of sports fan across America. In fact, there were four other athletes who joined the elite fraternity of two-sport athletes, during (and after) the Jaskson-Sanders era. The last time we saw a two-sport athlete was over a decade ago, in 2004. In today’s extremely competitive era of sports, it’s highly likely we will never see the two-sport athlete again. Well, of course, Bo knows. I couldn’t agree with him more. This day in age, athletes have evolved into massive, stronger, well versed machines. Pick any sport (of the four major North American ones) and one can see how deep the talent pool has become in that respective sport. Because athletes are required to stay in the best condition to play at an elite level, they devote themselves to extensive workout plans during the off season. Nowadays, training is a full-time year round commitment. If you devote that much time to one sport, how can you possibly play two? Also, one has to realize how much an investment the athletes are to their respective organizations. Salaries have grew astronomically in the past couple decades. Organizations strongly disapprove of any athlete’s participation in off season pickup games or intramural leagues. The probability of getting hurt is too high. Russell Wilson is on his way to a record payday this off season, and something tells me that John Schneider will rebuke any plans for Wilson’s pursuit at playing in the MLB again. It’s just not worth the risk. While its certainly exciting to witness another athlete exude greatness in both sports, the fact of the matter is that it probably will never happen again. Jameis Winston, the presumptive #1 overall pick in the NFL draft this month, has continued to express interest in playing professional baseball. As Bo stated “stick to whatever sport you’re comfortable with and let everything else go.” Take note, Mr Winston.